The Micatrone MF-FHA fume hood flow monitoring system checks whether enough air is sucked into a fume hood. At insufficient flow, the status light changes from green to red and a buzzer sounds after an adjustable delay. 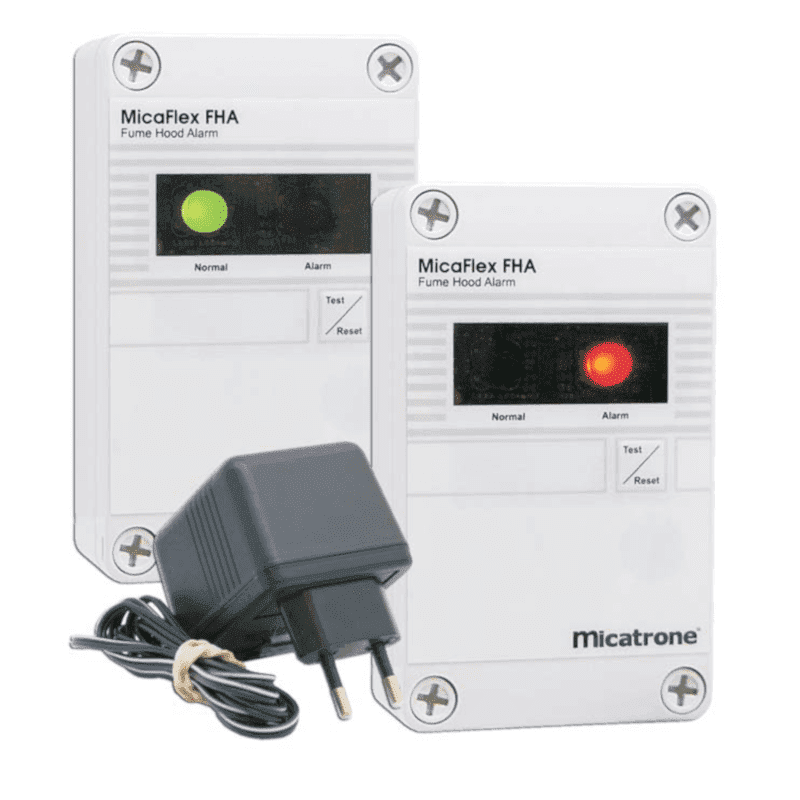 In addition, the MF FHA has a relay output for alarm signaling to a PLC or building management system. This system is very easy to build into existing fume hoods.